Gorgeous updated condo on the 10th floor of this popular building, offering superior views of Downtown! 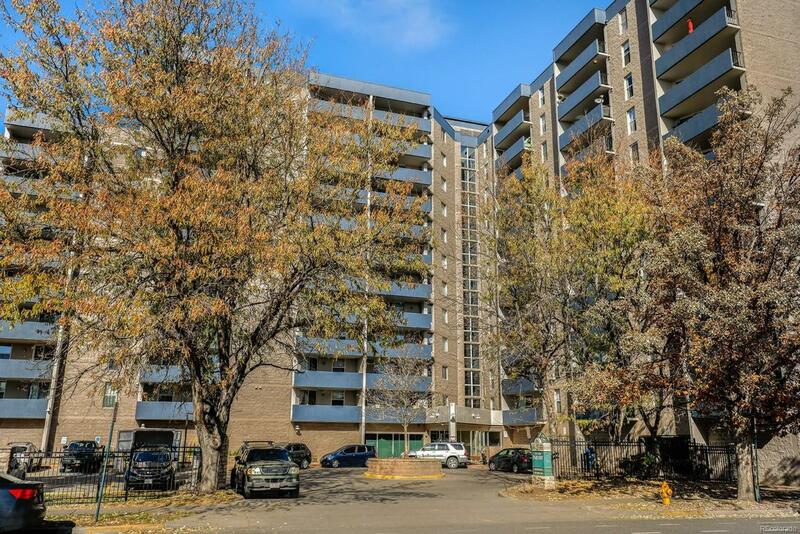 This unit has seen updating throughout including the flooring and the 10th floor features an additional security code for access and enhanced building safety! Washer & dryer hook-ups are installed in the unit although the building does feature a community laundry too. Low monthly HOA fee includes water, insurance and more, and provides access to the clubhouse, pool, fitness facility, business center and dog park for your canine friend! Park your car in your assigned parking space in the garage (bike storage included too) and walk to the many nearby local restaurants, shopping and entertainment including the Denver Art Museum..unbeatable value!